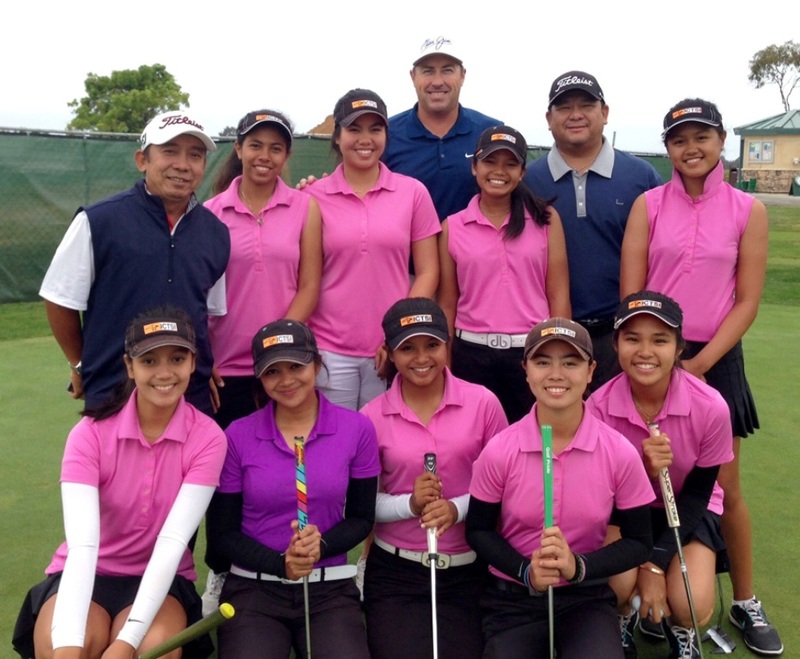 Members of Team ICTSI – (from row, from left) Sam Martirez, Princess Superal, Mikhaela Fortuna, Yuka Saso and Sofia Chabon, and (standing, from left) Sam Green, Pauline del Rosario, Bernice Olivarez-Ilas and Abegail Arevalo – pose with Bong Lopez and Nestor Mendoza and putting mentor Dave Stockton Jr., after a practice round at the Encinitas Ranch Golf Club in Southern California. Five straight victories to close out the season capped Princess Superal’s banner year but it was her record triumph in the US Girls’ Junior in Flagstaff, Arizona that highlighted her and Team ICTSI’s sterling 2014 campaign. Besting her blazing windup in 2013 anchored on her emphatic gold medal romp in the Myanmar SEA Games, Superal, 17, made a stirring run of five wins at the end of the year, posting victories in wire-to-wire, down-to-the-wire and come-from-behind fashions in California, Manila, Singapore and Jakarta. “Princess has blossomed to become a complete player. 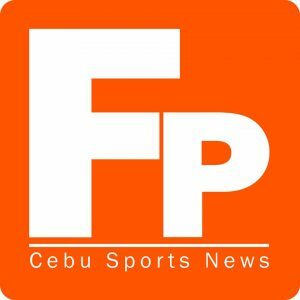 She has good work ethics, never stops from improving her craft and never loses her appetite for winning,” said Team ICTSI coach Bong Lopez, who took Superal into his fold in 2012 and whipped her to become the country’s leading amateur player. Pauline del Rosario and young Yuka Saso also enjoyed banner seasons with the former scoring nine victories, including the Faldo Series Asia Grand Final in Shenzen, China where she nipped Superal by one. The 13-year-old Saso, on the other hand, enhanced her promising career by racking up seven victories, including the Jakarta Junior World and the PING Summer Junior titles, while Sofia Chabon and Samantha Martinez came away with three wins apiece and Mikhaela Fortuna and Abegail Arevalo nailed a victory each to cap Team ICTSI’s banner season. The other members of the team are Bernice Olivarez-Ilas and Samantha Green. The ICTSI coaches, who include Nestor Mendoza and putting mentors Dave Stockton Jr. and Dr. Craig Farnsworth, also cited the all-out support of ICTSI head of Public Relations Narlene Soriano and her trust in the team’s program as well as that of ICTSI top honcho Ricky Razon, who has kept track of the progress of the players’ training and overseas campaigns. “What’s so special about this team is its high golf IQ and fantastic work ethic. They practice very hard both in their swing mechanics and PT (physical trainin)g They are very coachable because they listen well,” said Mendoza, who with Lopez drew up the ICTSI golf program in 2009 aimed at developing and training the country’s young, promising golfers into becoming world class golfers. Superal could be close to reaching that status with a slew of top but tough international competitions lined up for the country’s toast of amateur golf in 2015. Superal, who also proved her worth in the pro ranks for the second straight year by winning the Sherwood leg of the ICTSI Ladies Philippine Golf Tour last November, actually posted seven other wins in the year, accounting for one third of Team ICTSI’2 36 victories here and abroad, eight more than the team annexed in 2013. But it was her record feat in the US Girls’ Juniors last July that stood out in her outstanding season. Down by one with one hole left in her grueling 36-hole duel with Mexico’s Marijosse Navarro at the Forest Highlands’ Meadows course, took the par-5 18th to force a sudden death then pounced on her rival’s meltdown with a routine par on the first extra hole to clinch the coveted crown and become the first homegrown Filipino winner in US Golf Association play. Aside from the US Girls Juniors crown, Superal also topped The Country Club Invitational amateur side, the Southern Ladies, the RSGC Ambank Bank and the Kuala Lumpur Amateur in Malaysia, the Faldo Series Qualifier, the Jakarta Juniors, before winning the FCG National Fall Series in Temecula, the Sherwood Hills leg of the Ladies Philippine Golf Tour, the ASEAN Schools at Valley Golf, the SICC Singapore Juniors and the Pondok Indah in Jakarta. Del Rosario, meanwhile, also won the DHL and Canlubang Am Open, the Faldo Series Qualifier, the Long Beach City Women’s Am, the Future Champions International, the LPGT at Eagle Ridge, the Faldo Series Grand Finals at Greenbrier and the Malaysia Kids, while Saso also reigned at Mission Hills’ Jack Nicklaus, Costa Mesa Junior, LPGT at Splendido, Sabah International and Visayas Regional.